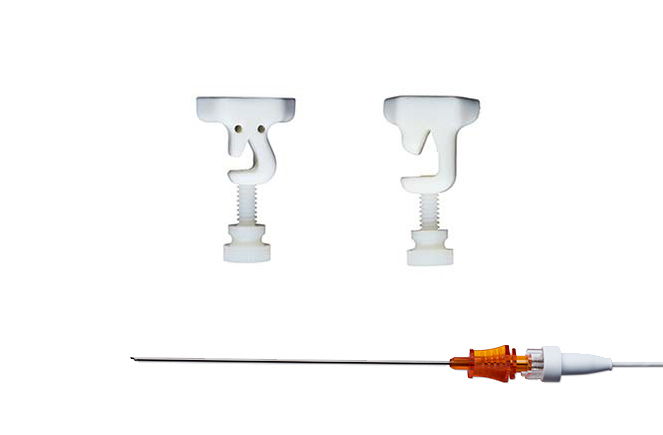 SPiN IR™ is used for a variety of interventional procedures: fiducial placement, biopsies and ablations. 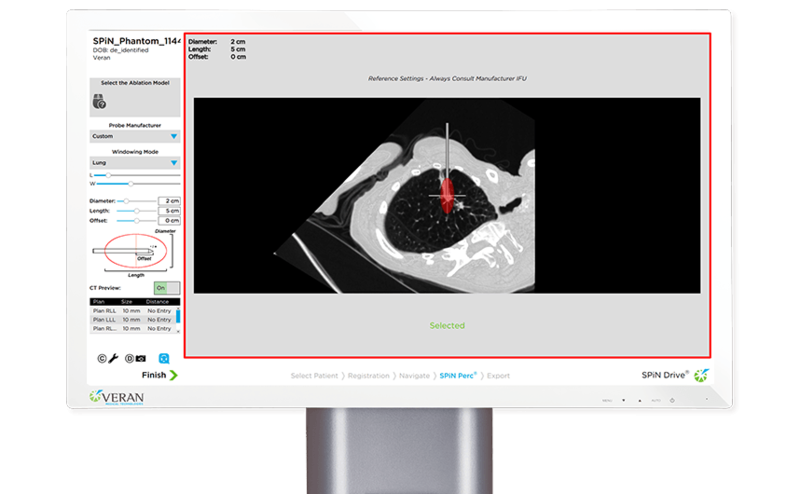 Armed with exceptional 3D guidance and tools that enable a percutaneous approach, you can access off-plane targets like never before—all while reducing radiation exposure. 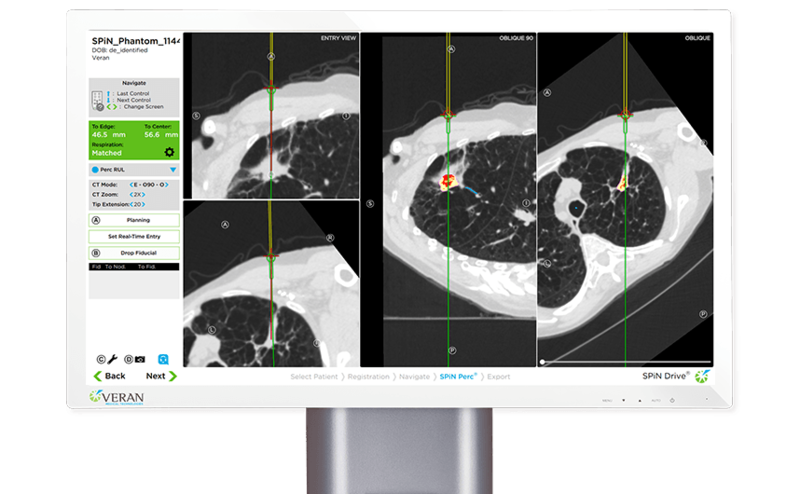 SPiN IR™ offers a significant advantage over common CT guidance. 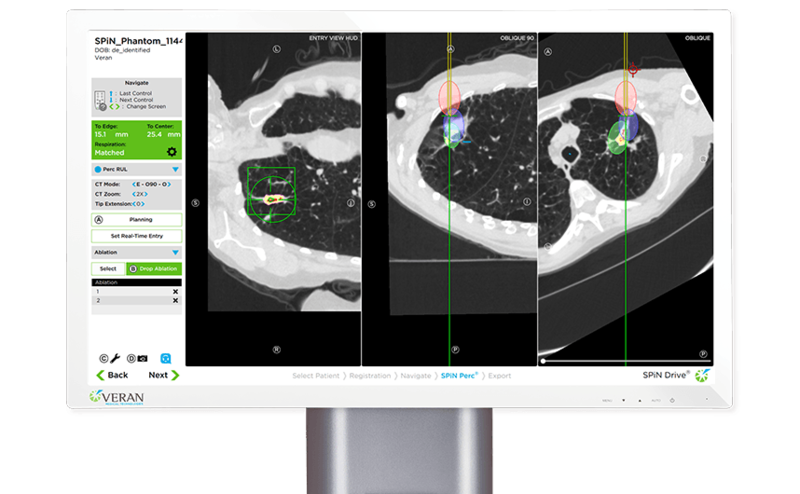 Electromagnetic instrumentation provides ongoing continuous tracking, empowering you to reduce procedure time and radiation exposure from multiple scans. 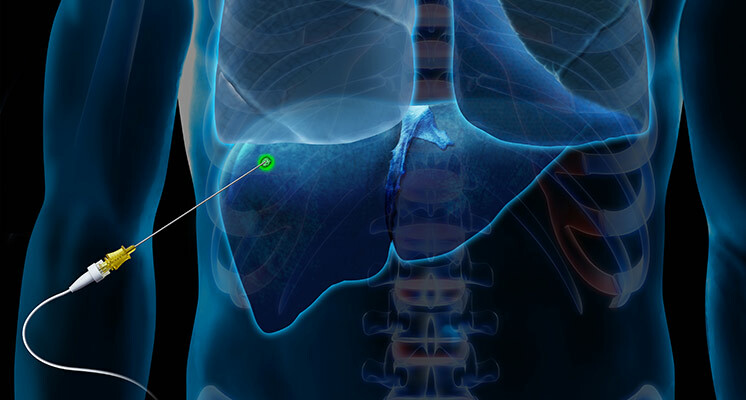 A preliminary scan is performed to direct the path to the target and a confirmatory scan is performed to confirm location. Significantly reduces radiation exposure and procedure time. 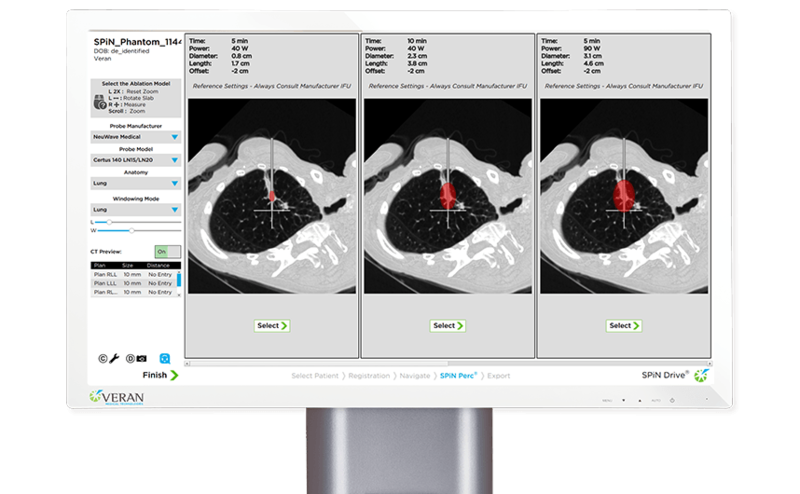 Choose from a variety of Always-On Tip Tracked® Needles or utilize vTrack Tools to track conventional instruments to reach target tissue and maintain visualization.